I was lucky enough to deliver to Stock Brook Manor in Billericay on the 1st May. 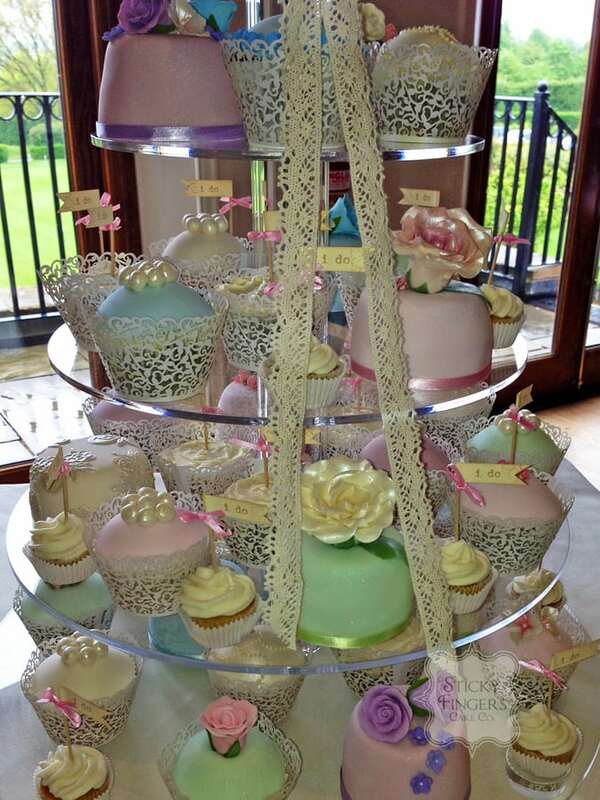 The bridesmaids all wore 4 different pastel shades – lilac, soft green, baby pink and baby blue, so I was asked to make an array of mini cakes, cupcakes and mini cupcakes to match the colours. What a pretty picture it looked! Congratulations to Nicola and Matt, hope you have a wonderful life together!